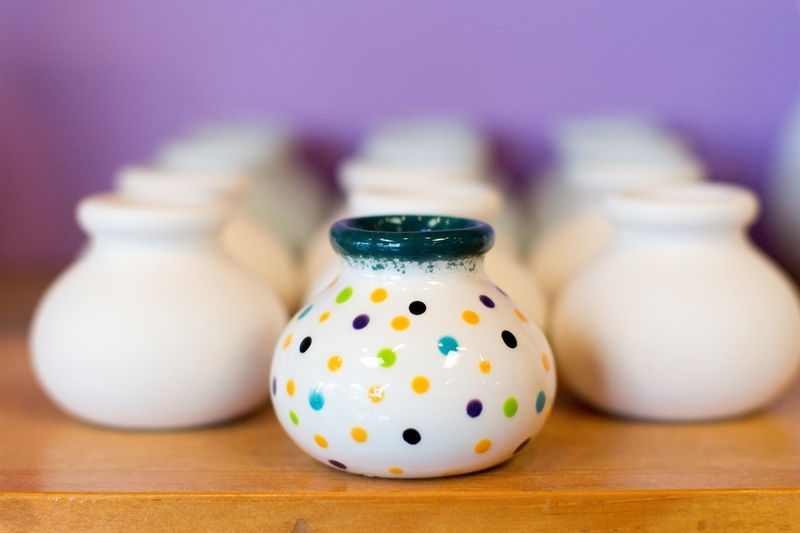 Drop in or call ahead to come in and paint your own custom piece of pottery. 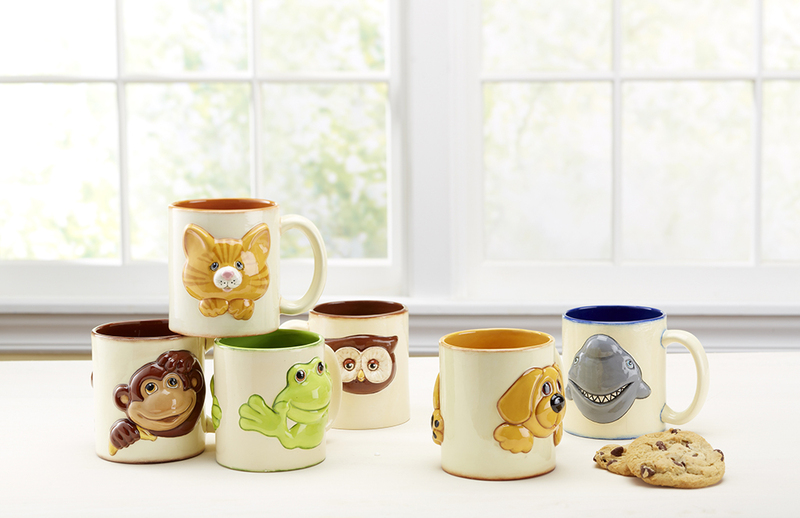 We have a wide selection of pieces ranging from cups to platters. You also always have the option of choosing to Van-go! Our Van-go Kit is FREE! That’s right, FREE. Host a birthday party, girls night, or a PJ painting party from the comfort of your home. You can take everything youll need to create the perfect memories at home, and then return it to us with your pieces to be fired! School classes, daycare, community centers, college, senior citizen centers or office team building exercises- our mobile unit will bring a paint party to you! 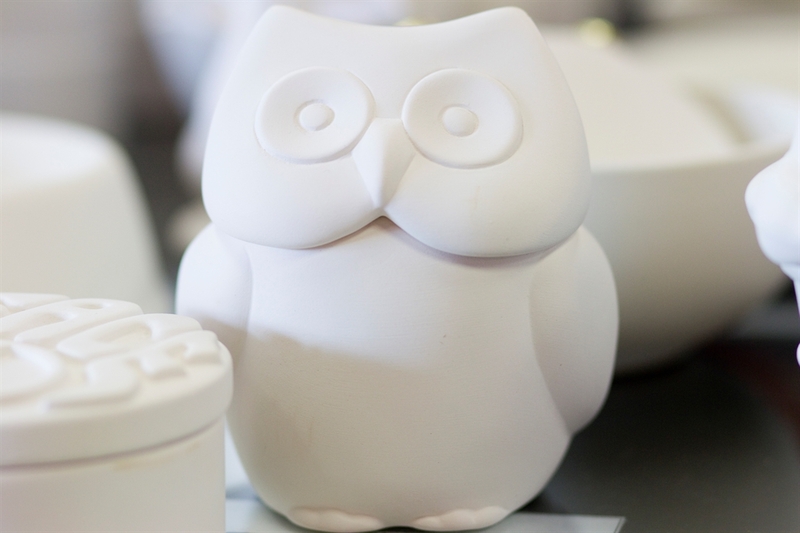 Once returned, we will fire and glaze your painted pieces, which will be ready for you to pick-up in about 5-7 days. You can read more about our pick-up policy here. There is so much to choose from at Clay Café, so this may be the most challenging part of your visit! Prices are marked on the bottom of the pieces + tax (includes paint and firing). Bring your piece to the counter to pay for and receive your forms. There’s lots of help at Clay Café with the creative process! Use carbon paper and pencil very lightly to trace your image onto your piece or your piece may require 2 firings. You only need to start with a little bit of paint so as not to waste any. If you like a more solid finish, 3 coats of paint should come out without streaks. Anything less will be more transparent and streaky if you prefer that effect. 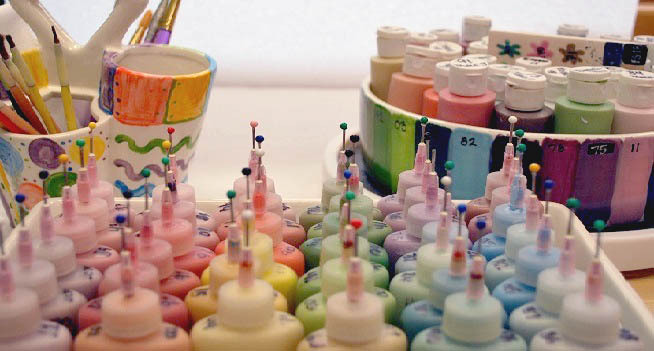 Now is the fun part – you can sit down, relax, have fun, and paint away! Remember we are here to help, so if you need any suggestions or have questions about the effect of certain paint, or how many coats are needed, then call us over and we’re happy to assist. We also offer a variety of snacks and beverages for your visit. Write a description for your piece when you’re finished and we’ll give you your time and date for pickup. Running out of time? You don’t have to finish your piece in one sitting. You can always take it home with you and bring it back to finish on a convenient week night. Then be sure to come back and paint again (it’s a healthy addiction, promise!). If you prefer to have a painting pottery activity at your home, office or school, be sure to check out our Take Home Kit. 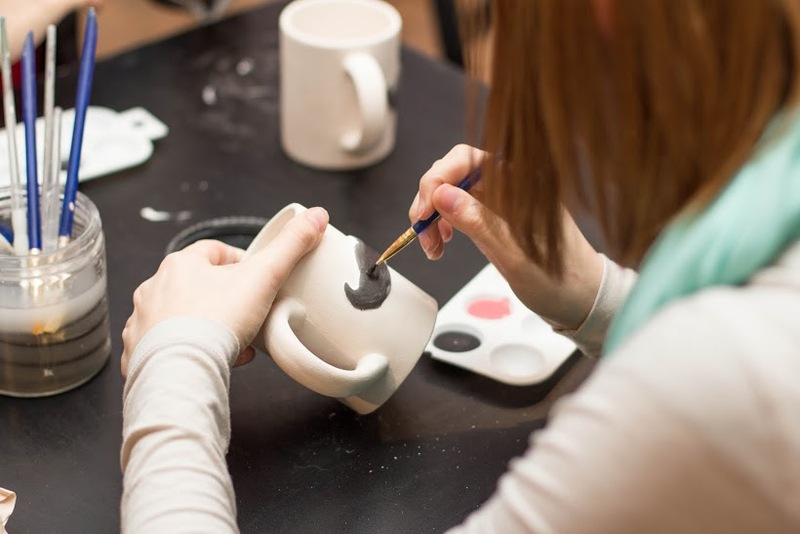 Get in touch with us to book a private session for pottery with you and your friends, or drop in and get started!